www.parkcity.org . The direct link is: http://www.parkcity.org/home/showdocument?id=19137. A giant parking lot in Park City has been added to the opening credits of the Sundance Film Festival. 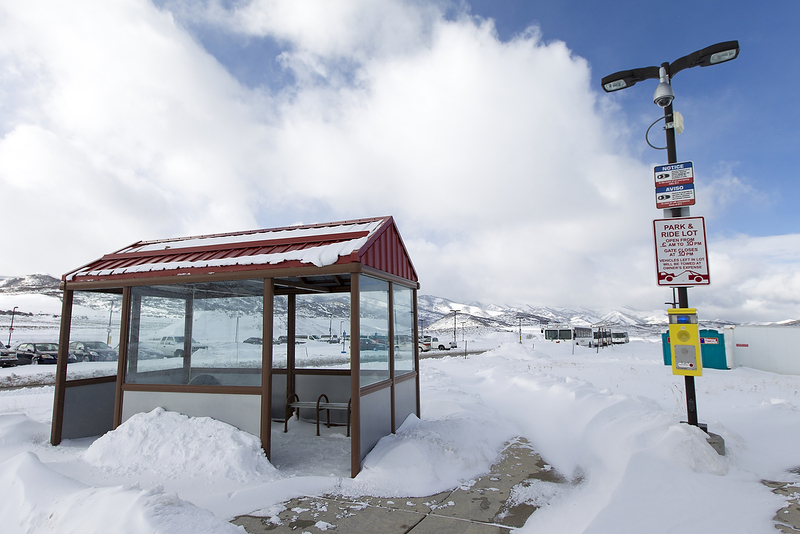 Park City officials quietly made a park-and-ride lot along the S.R. 248 entryway available to people headed to Sundance. The availability of the lot was outlined in a broader community guide to Sundance drafted by City Hall outlining parking, transportation and other logistical information for navigating Park City during the festival. City Hall has not widely publicized the availability of the park-and-ride lot, but its opening for Sundance is an important step as officials consider the long-term future of the facility. The Richardson Flats lot, with space for 750 vehicles, is one of the largest in the Park City area. It was built with the idea that it would someday be used as part of a detailed parking and transportation plan, but those details have not been decided. In recent months, spaces have been made available to construction workers. That was the first time the parking lot was used as a park-and-ride facility, but it was not available to the public like it is during Sundance. City Hall late last year indicated there was a possibility the lot could be used during Sundance, but the details were not available until just before the festival. Certain spots in the parking lot have been opened to the public for the festival. There is no charge. Alfred Knotts, the transportation planning manager for City Hall, said approximately 300 of the spots are available to the public during Sundance. The rest of the spots have been set aside for other users or they are not available based on the parking layout of the other users, which include 150 spaces for construction workers, 60 spaces for a shuttle company and 40 spaces for Uber, the transportation firm. City Hall is not running a bus line to the parking lot, though, meaning that it will not operate as a traditional park-and-ride lot. Knotts said City Hall sees the parking lot being used for carpooling. Friends could drive to the lot separately, park there and then take one of the vehicles to their destination in Park City. They could then split the parking charges in Park City, which are oftentimes much more expensive than they are at other points of the year. That would also reduce the number of drivers headed into Park City on S.R. 248 during Sundance, he said. "Every car helps in reduction of parking and traffic," Knotts said. The lot is closed between 2 a.m. and 6 a.m., similar to some other public parking places, to allow snow removal. Knotts said the snow-removal operations will be increased at the parking lot during Sundance. Officials see the parking lot as holding significant promise as Park City considers long-term traffic and parking issues. There have been widespread complaints about traffic as Park City enjoys a strong exit from the recession, and the S.R. 248 entryway between Quinn’s Junction and the Park Avenue intersection has long been a notoriously busy stretch of road. The idea is the parking lot will eventually function as a park-and-ride facility, diverting traffic off S.R. 248 and into the lot. People would then be shuttled into Park City on buses. "Parking in this lot is free. Meet your friends or co-workers here and jump in one car to get into town," City Hall’s community guide to the festival says. "You can split the cost of parking and do your part to help ease traffic." The municipal government is currently conducting a study of the overall transit system. The study is expected to be completed in the spring and will assist City Hall as it considers upgrades or expansions to the transit system, including the potential operation of the parking lot. A timeline for more intensive and regular uses of the parking lot could be better defined after the study is completed. The availability of the parking lot is one of the few free options in Park City during Sundance. Other places where free parking is available include the Sandridge lot off Marsac Avenue in Old Town, lots #5 and #6 outside Deer Valley Resort’s Snow Park Lodge between 5 p.m. and 2 a.m. and the lot at Treasure Mountain Middle School on the weekends. There is paid parking available in the China Bridge garage along Swede Alley as well as privately held garages. More information about parking options, including the park-and-ride lot is available in the community guide on the City Hall website, http://www.parkcity.org . The direct link is: http://www.parkcity.org/home/showdocument?id=19137.